Let's not be afraid to offer up our gifts, talents, abilities, accomplishments and material things that we may find insignificant. They are not! 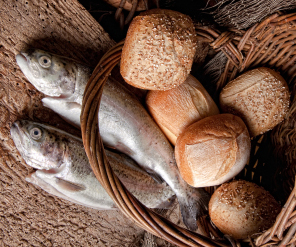 When we give up even the littlest of things to the Lord, He brings forth abundance! Dear Lord, help us not be afraid of using what You have given to us. Thank You for trusting us with the gifts. In the Name of Jesus, Amen.